Installatoin view of “Portia Zvavahera: I’m with You,” 2017, at Marc Foxx Gallery, Los Angeles. 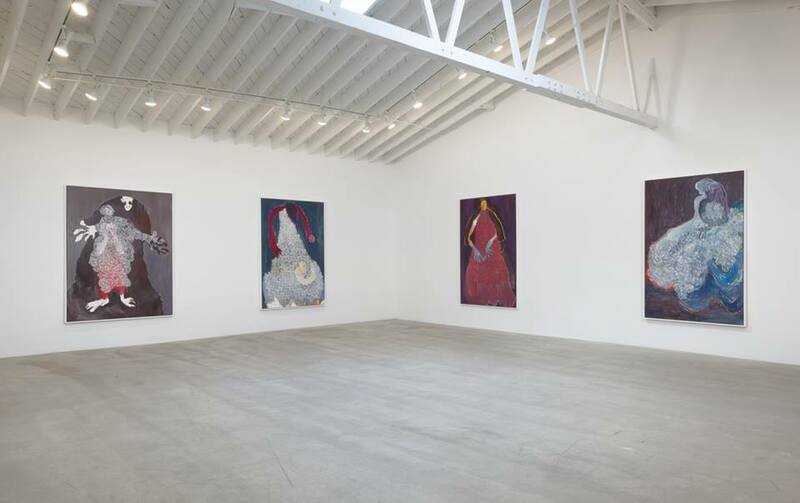 Marc Foxx Gallery in Los Angeles has closed, according to sources familiar with the gallery. It had been open for 23 years and had acquired a reputation for its trendy slate. The gallery was founded by Marc Foxx in 1994 in Santa Monica and then moved a few years later to Los Angeles’s Wilshire Boulevard, where it has remained since then. In 2002, Rodney Nonaka-Hill was brought on as a partner. Over the years, the gallery became a go-to space for notable work by Los Angeles–based artists. Sterling Ruby, the market darling known for his oversized sculptures about Americana, had some of his first exhibitions there, and Frances Stark, whose videos tackle intimacy and the digital sphere, had five solo exhibitions at the gallery. The Foxx stable also included important artists from Europe, Asia, and South America as well, like Annette Kelm, Amalia Pica, and Guido van der Werve. Last summer, the blog the Source reported that the gallery’s business hours had been interrupted by rail construction on an extension of the L.A. subway’s Purple Line. “We have lost sales and customers have complained, but as owners we decided to stay at this location,” Marc Foxx said in July. The gallery’s final show was a two-person exhibition of Makiko Kudo and Hiroshi Sugito that concluded on December 16. (According to the gallery’s voicemail, it is open by appointment only.) Currently listed on the gallery’s roster are Kasper Bosmans, Cris Brodahl, Anne Collier, Andy Collins, William Daniels, Stef Driesen, Sanya Kantarovsky, Annette Kelm, Makiko Kudo, Luisa Lambri, Kris Martin, David Musgrave, Alessandro Pessoli, Amalia Pica, Richard Rezac, Matthew Ronay, Maaike Schoorel, Frances Stark, Hiroshi Sugito, Mateo Tannatt, Guido van der Werve, Sophie von Hellermann, Jennifer West, and Sam Windett. The news comes as part of a larger spate of closures affecting middle-class galleries across the world. Among the spaces to close recently is Los Angeles’s Acme gallery, which was originally part of the same 6150 Wilshire Boulevard gallery complex as Marc Foxx. Other notable galleries to have closed in the past year include Vilma Gold in London, On Stellar Rays in New York, Susanne Hilberry Gallery in Detroit, and Silberkuppe in Berlin.